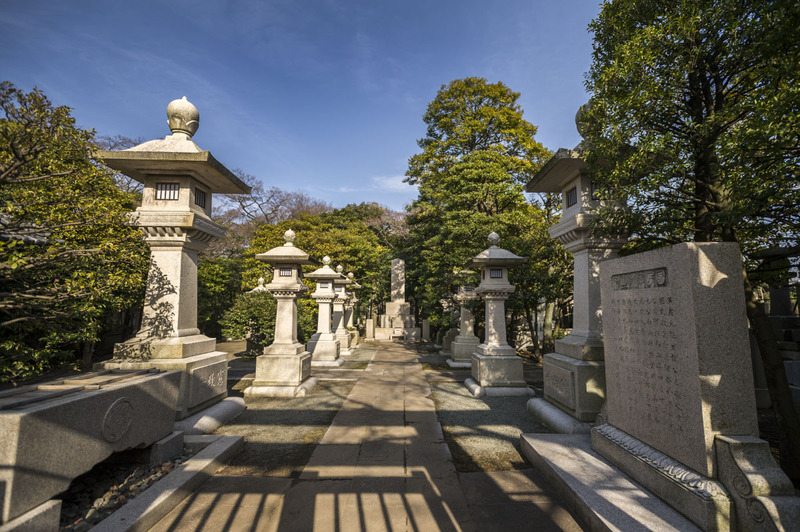 The huge Gokokuji Temple in Tokyo’s Bunkyo Ward is interesting not least for its graves of many historically significant persons in Japanese recent history. 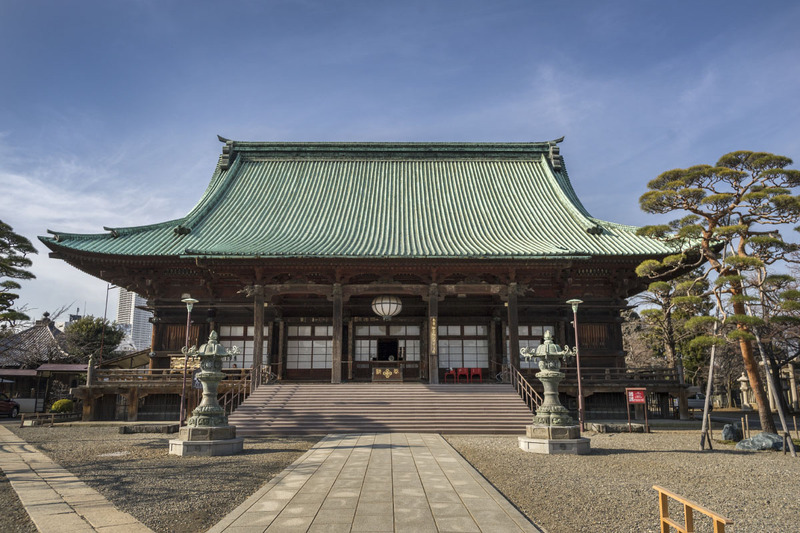 Not least among them is the statesman and Imperial Court Noble Sanjo Sanetomi (三条実美, 13th March 1837 – 28th February 1891). 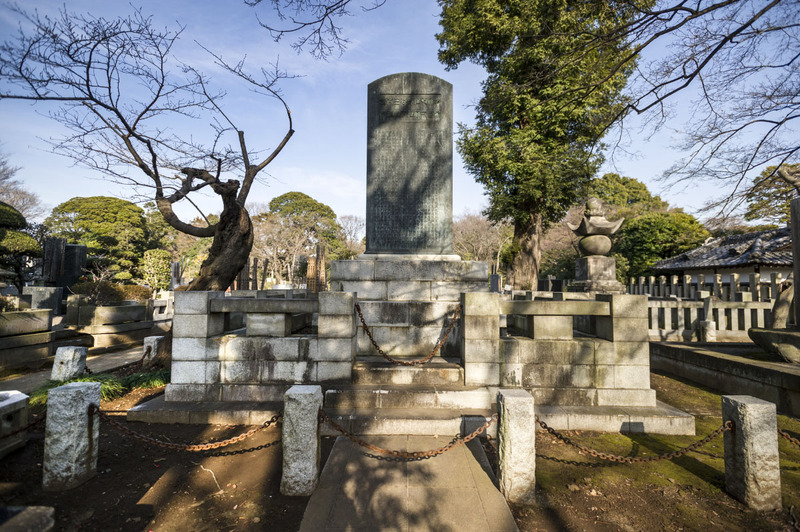 More well known to Westerns might be the grave of Marquess Okuma Shigenobu (大隈重信, March 11th 1838 – January 10th 1922) whose grave is in the first picture. 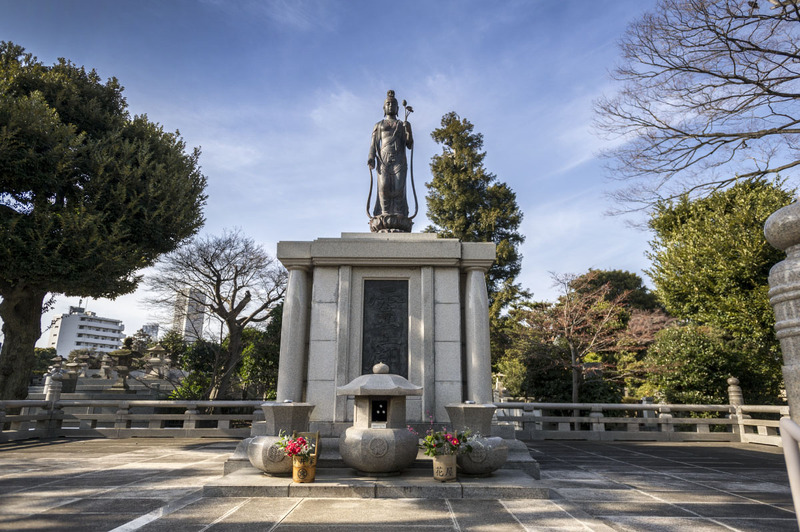 Both of these men were prime ministers of Japan, Okuma during the first years of the Great War, and both of them have huge stone Torii guarding the entrances to their graves. 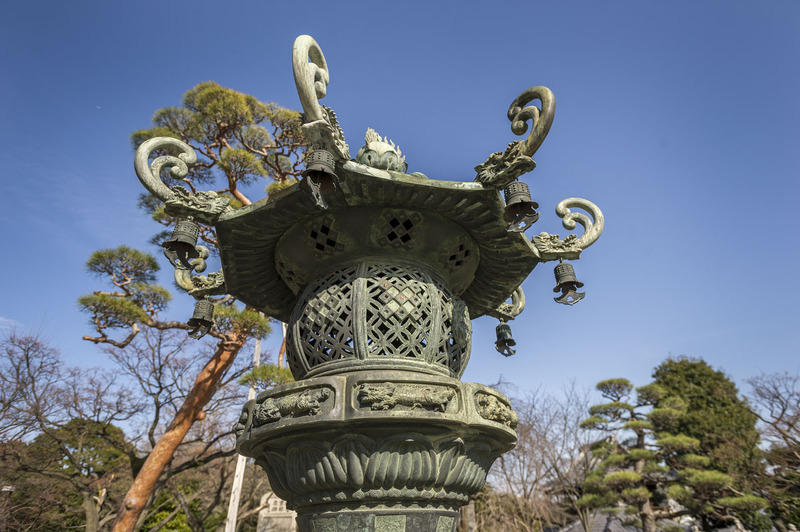 Okuma founded the schools that would become the famous Waseda University in 1882. 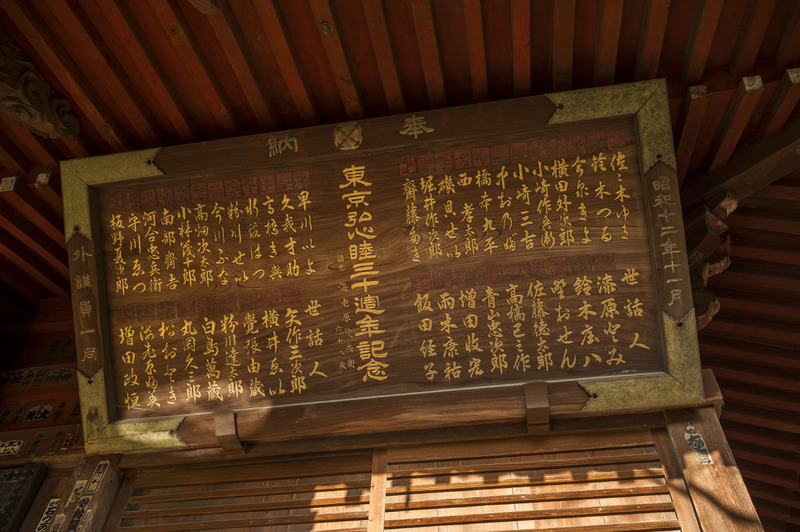 He also spoke English and managed to remove the official ban on Christianity in 1873. 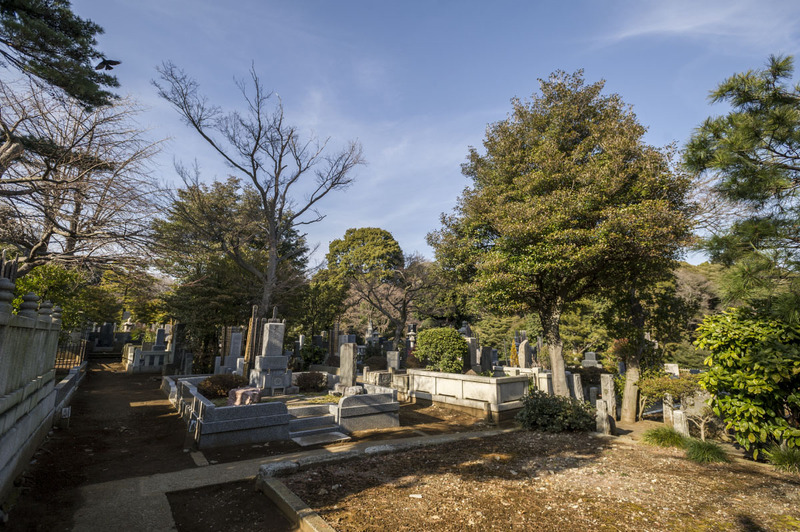 I took these photos in the winter a few months ago, but now in summer the cemetery is more spectacularly alive with trees, flowers and birds everywhere. 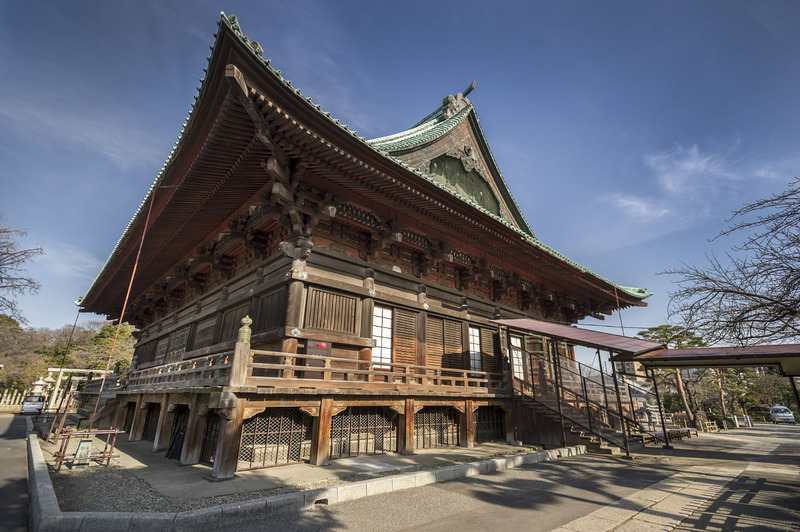 My favorite building on the massive Gokokuji temple compound in Tokyo’s Bunkyo Ward is without a doubt the relatively tiny Taishido (大師堂). 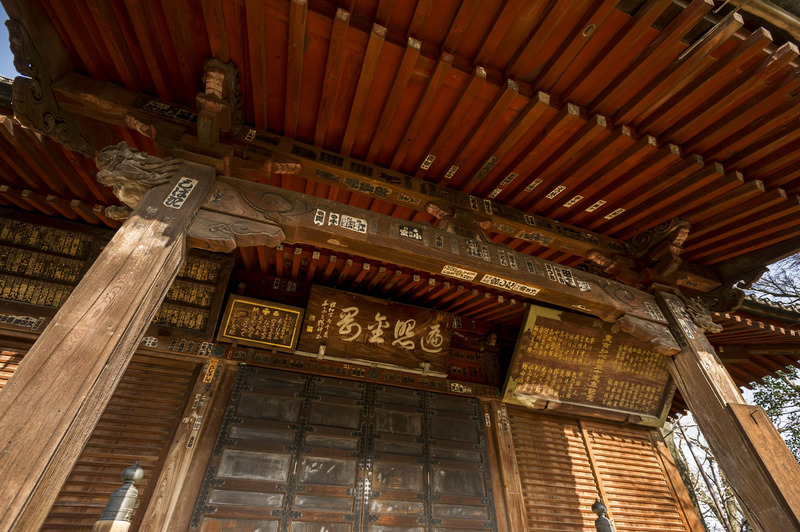 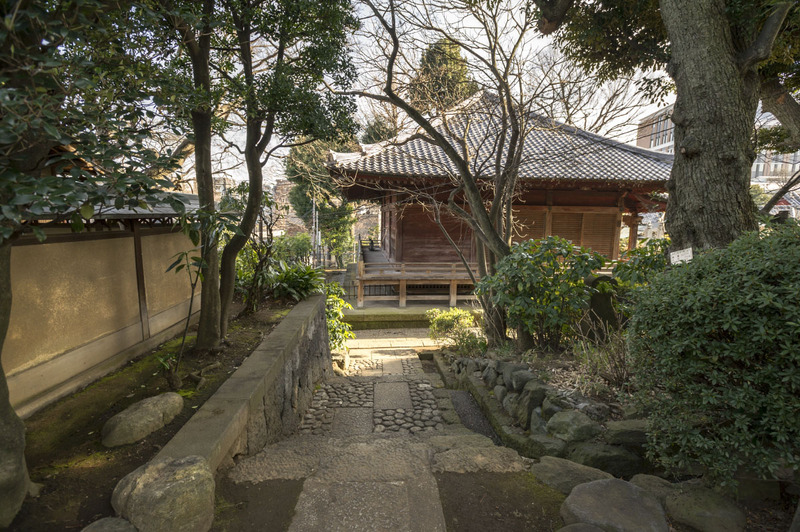 The patina and the robustness of the old wooden building is very attractive for some reason, partly helped by it secluded location on the temple grounds, off to one side. 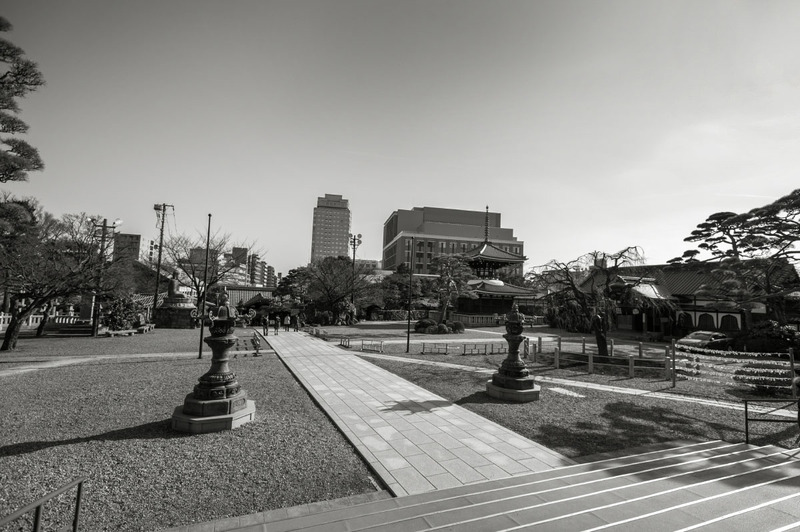 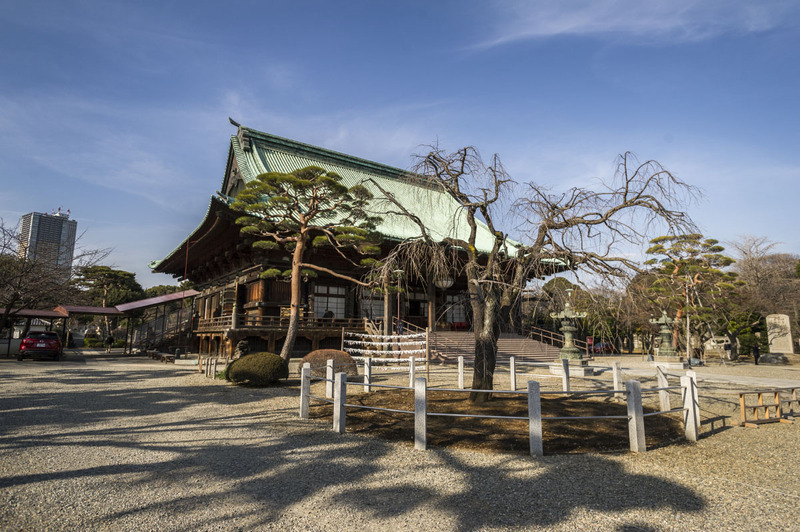 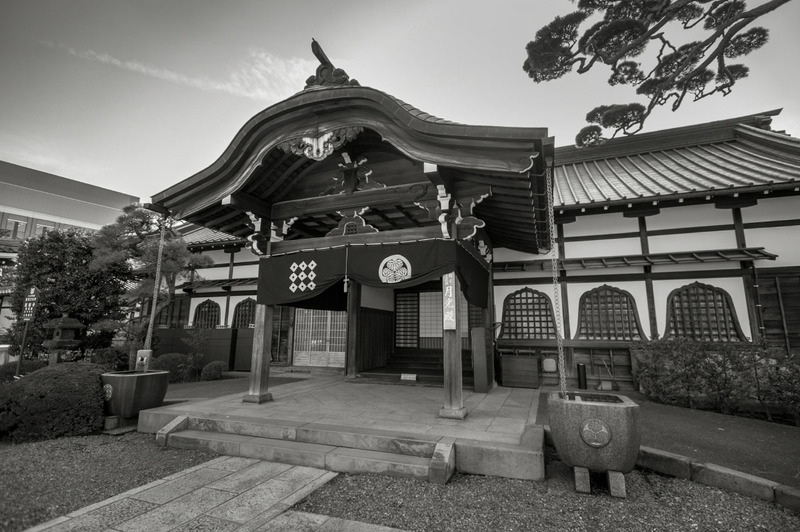 The temple was originally built in 1701 and went by the name of Yakushido (薬師堂) but was moved to its present location and received a new name in 1926 after the large Tokyo fires. 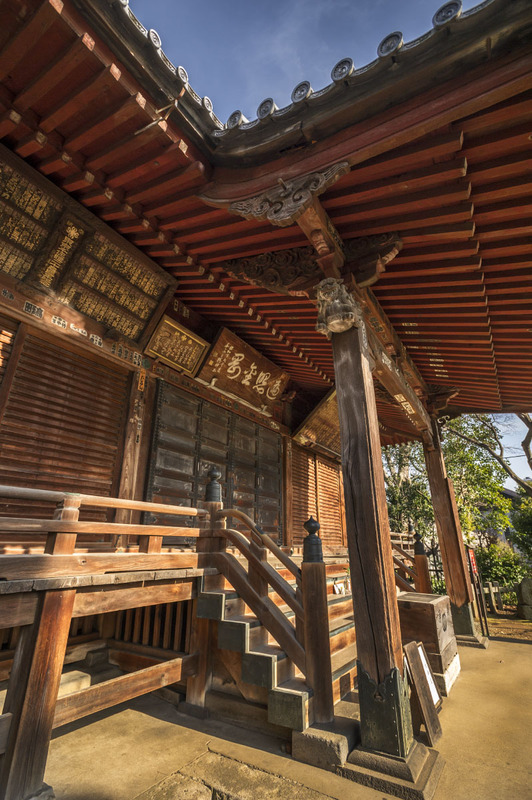 From the look of the roof I have a feeling it might been covered in straw in the old days. 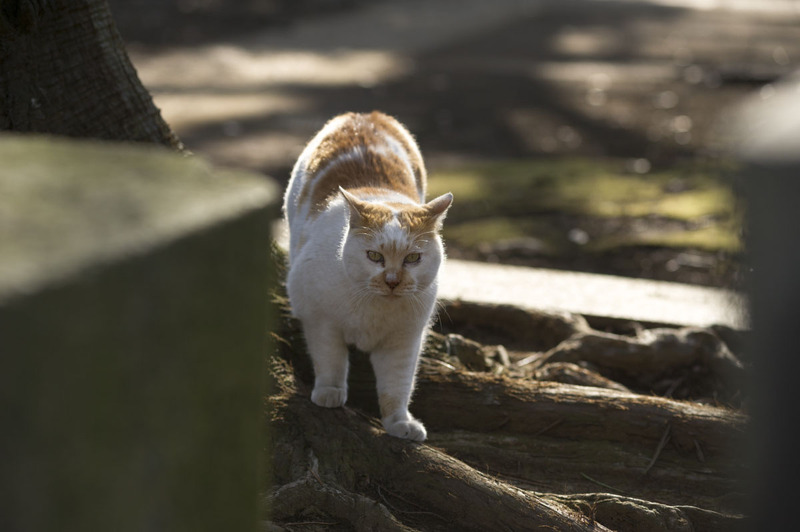 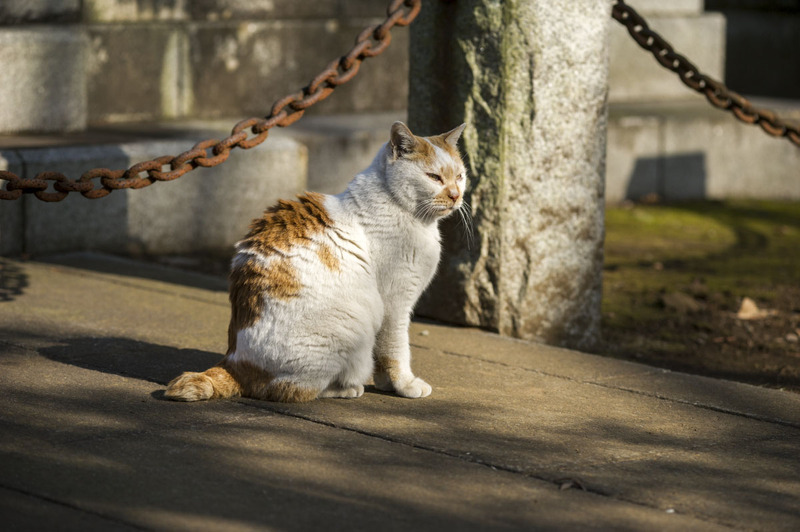 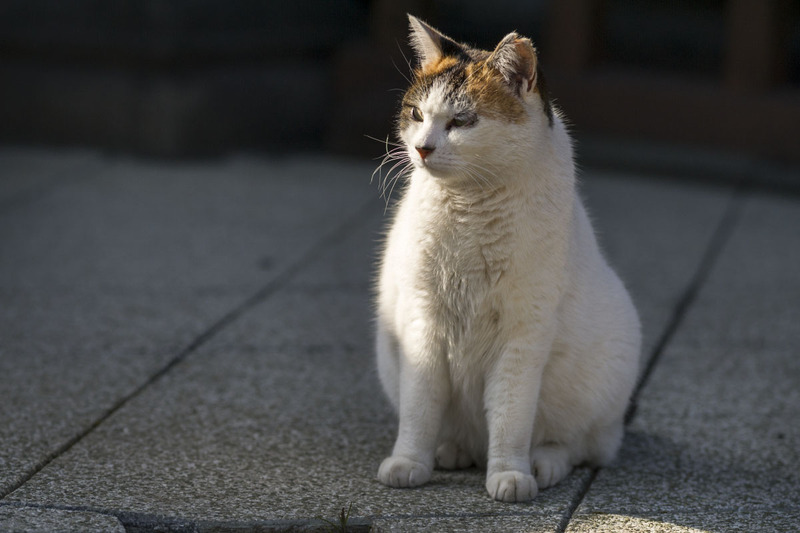 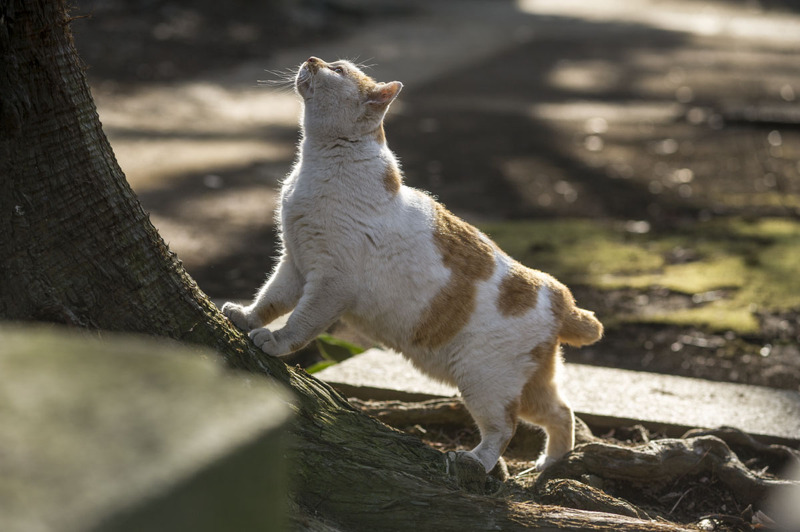 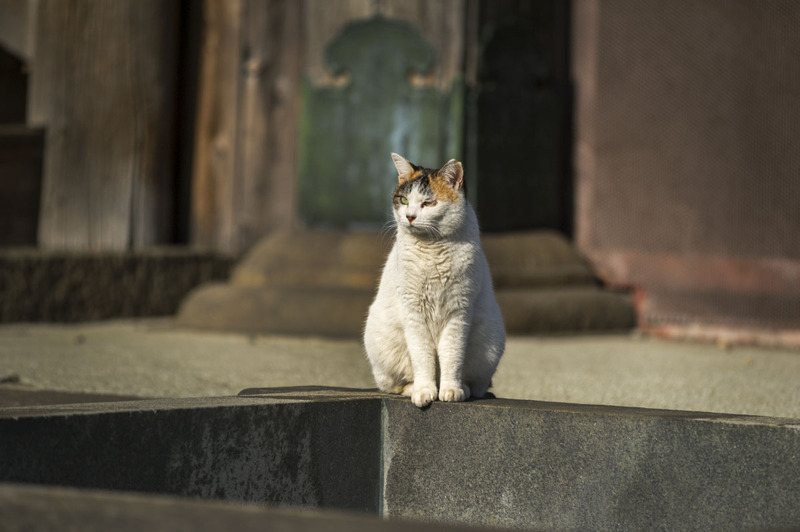 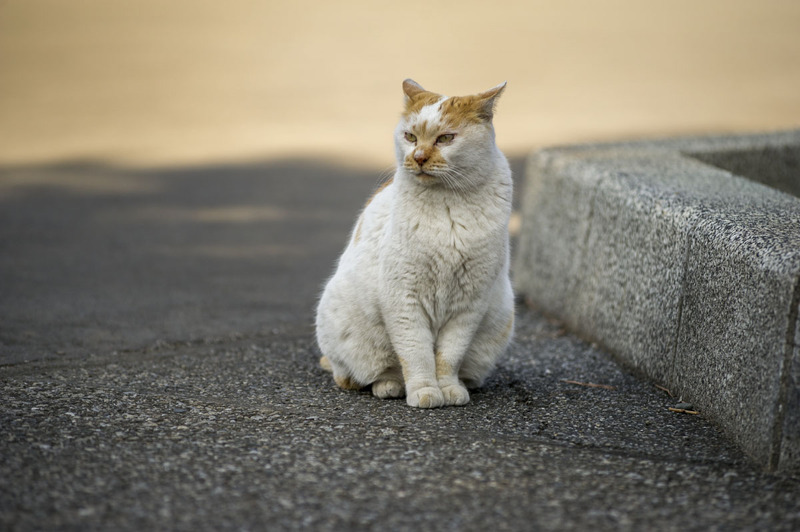 Almost every temple in Japan has a few stray cats hanging around and the big Gokokuji temple is not an exception, harboring a small army of them. 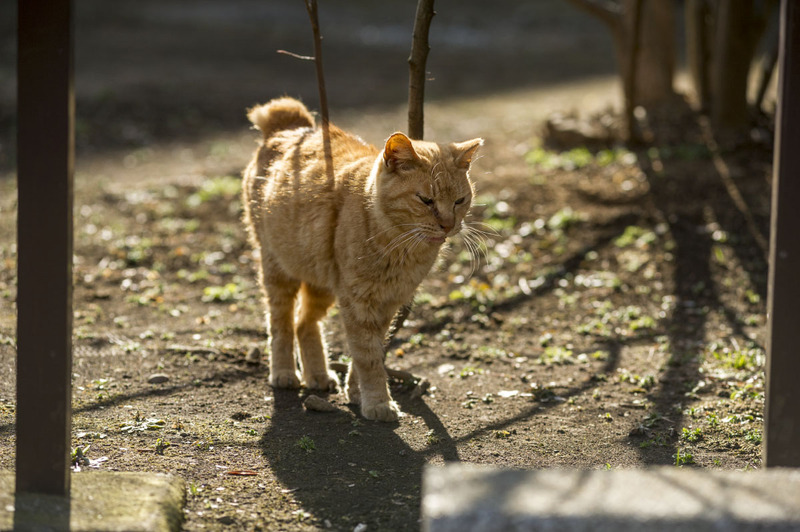 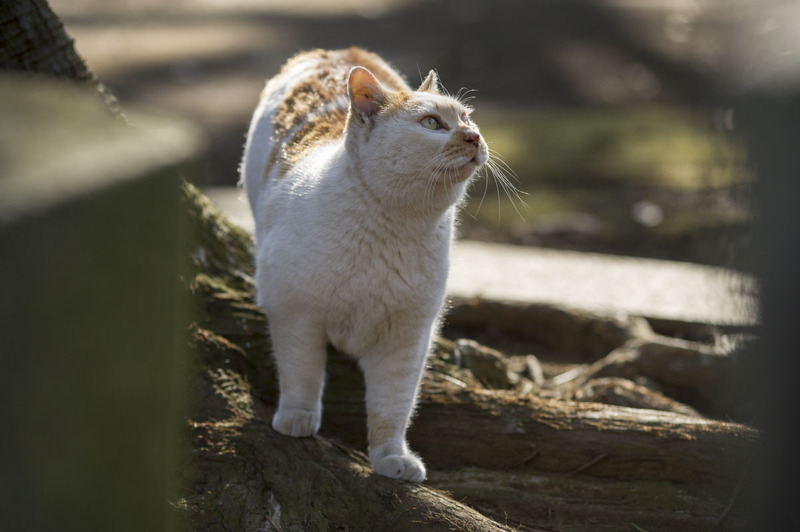 Obviously the word “stray” might be misnomer, these cats look very well fed! 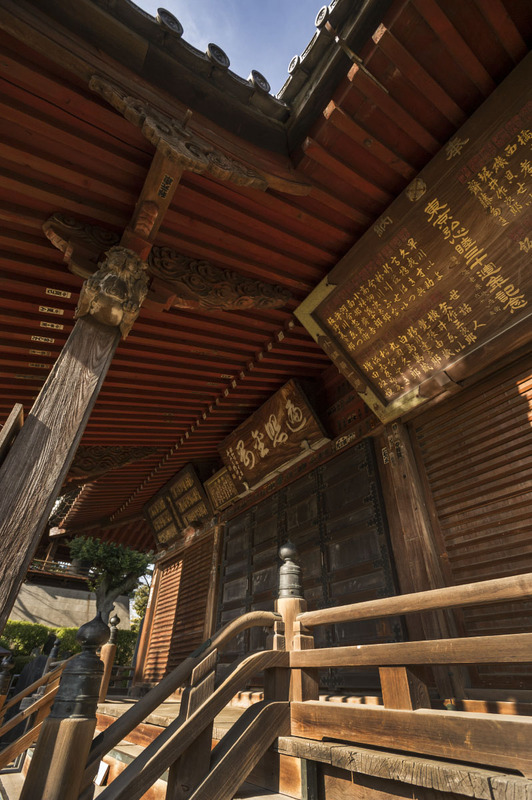 Some more photos of the nearly 400 years old Gokokuji temple in Tokyo’s culture rich Bunkyo ward. 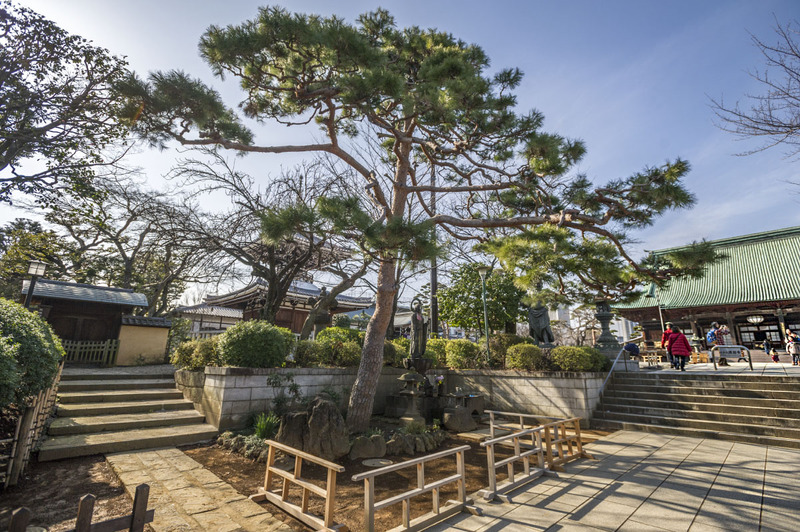 I took these a few weeks ago and the trees have yet to shoot any leaves but it was a brilliant day and I seldom pass the area so I took my chance. 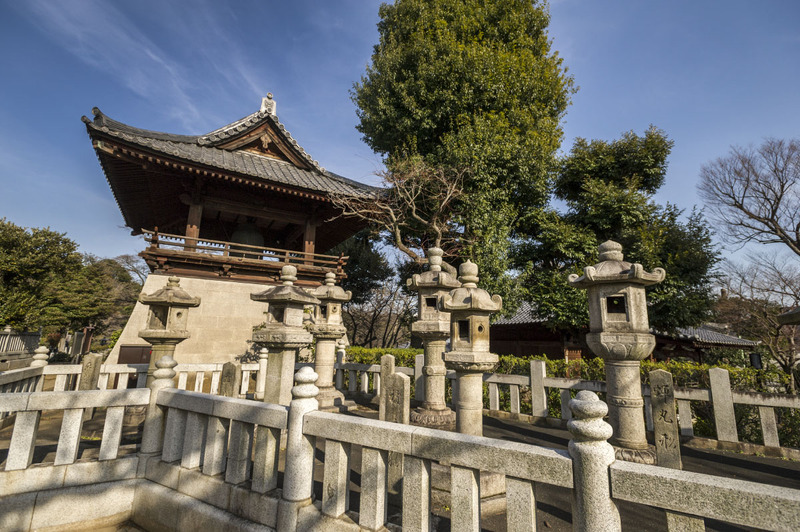 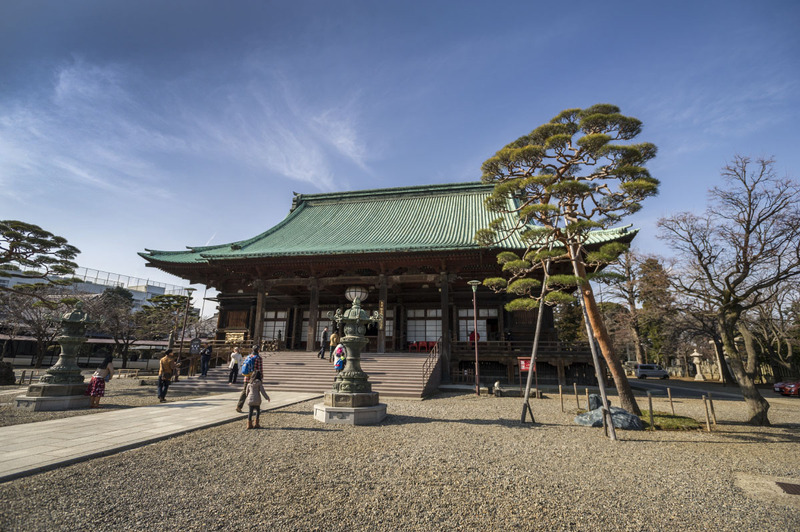 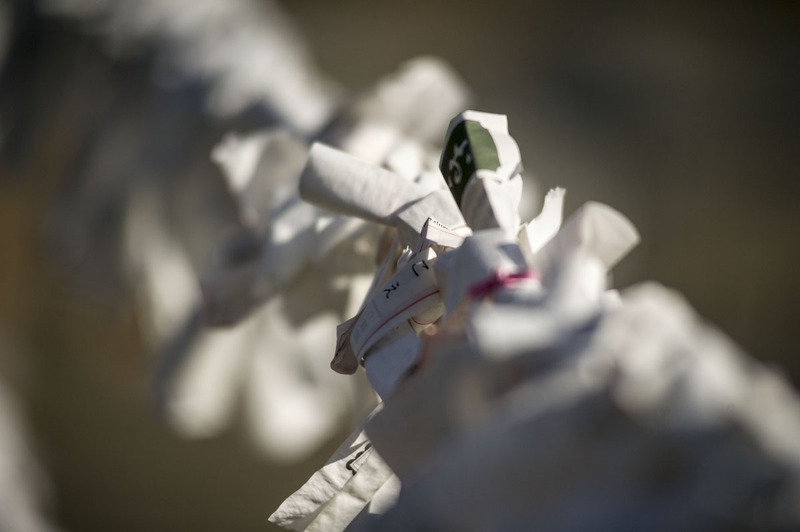 The tample is located on a simply huge piece of land for being central Tokyo and if you take of your shoes you are free to enjoy the stillness, the sounds and the smells of the main temple building.